It is understood that the man who was in the company of two others who escaped with firearms were caught poaching for rhinos. National Parks spokesperson Mr Tinashe Farawo said the shot poacher had been taken to Beitbridge District Hospital. “Our officers together with the police were patrolling in the area when they met the suspects. These were armed and resisted when they were told to surrender. They opened fire at our officers. There was contact resulting in one of the poachers being shot,” he said. 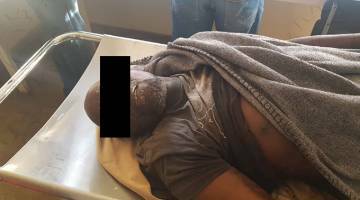 The poacher has since died at Beitbridge district hospital. Mr Farawo said the man’s accomplices took to flight with the firearms when they realised they had been over powered.